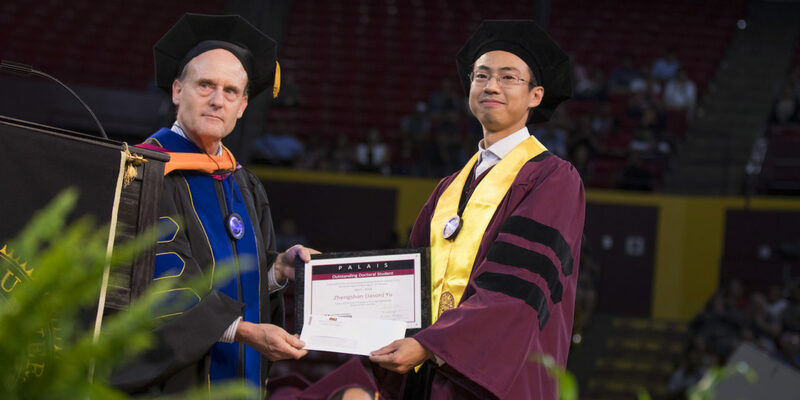 Since 2003, Arizona State University’s Ira A. Fulton Schools of Engineering has recognized an exceptional electrical engineering doctoral student with the Palais Outstanding Doctoral Student Award. The award was established through the generosity of Emeritus Professor Joseph Palais and his wife, Sandra Palais, to honor excellence in research and academics. Palais’ long career with the university began when he joined the engineering faculty in 1964. He was appointed as the electrical engineering graduate program chair more than two decades ago and has watched the university and the Fulton schools grow tremendously. Zhengshan “Jason” Yu, who successfully defended his thesis and recently received his doctoral degree, has earned the award for his research on record-breaking efficiency for silicon-based solar cells. This has the potential to make solar electricity costs more competitive in the future. While living in Shanghai, China, Yu noticed the poor air quality in winter due to vehicle emissions and the burning of fossil fuels as the country’s main energy source. Air pollution poses an environmental risk to health as people inhale dangerous toxins, which can lead to heart and lung disease as well as other respiratory problems, according to the World Health Organization. 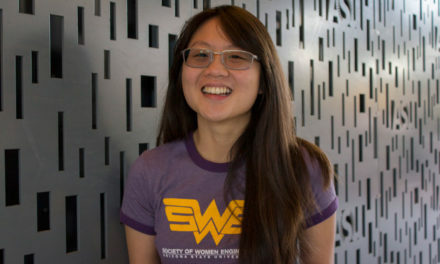 The motivation to solve the problem fueled Yu’s research interest in renewable energy. Yu has a bachelor’s degree in microelectronics and a master’s degree in integrated circuits from Shanghai University, both of which support his research endeavors in photovoltaics — a branch of technology that involves converting light into electricity using semiconductor technology. Currently, silicon solar cells dominate the photovoltaics market, representing 90 percent of the solar panels available commercially. They offer the highest efficiency at the lowest cost but are reaching their practical efficiency limit of roughly 25 percent. This could hinder the acceleration of solar energy in the renewable electricity market. The tandem technology compares to a tandem bicycle, which has a two-rider design. Two bicyclists are better than one when it comes to increasing efficiency and speed. The same is true for a silicon-based tandem solar cell with two materials working toward a similar goal. Yu’s research seeks to engineer a solar cell tandem technology that pairs silicon with perovskite — an inexpensive, easily manufactured photovoltaic material. This pairing could increase the conversion efficiency to greater than 30 percent, which surpasses the limited efficiency of silicon solar cells alone at 27 percent. It could also achieve the U.S. Department of Energy’s SunShot 2030 program goal: a levelized cost of energy of three cents per kilowatt hour, which will help make solar electricity costs competitive with conventionally generated electricity. 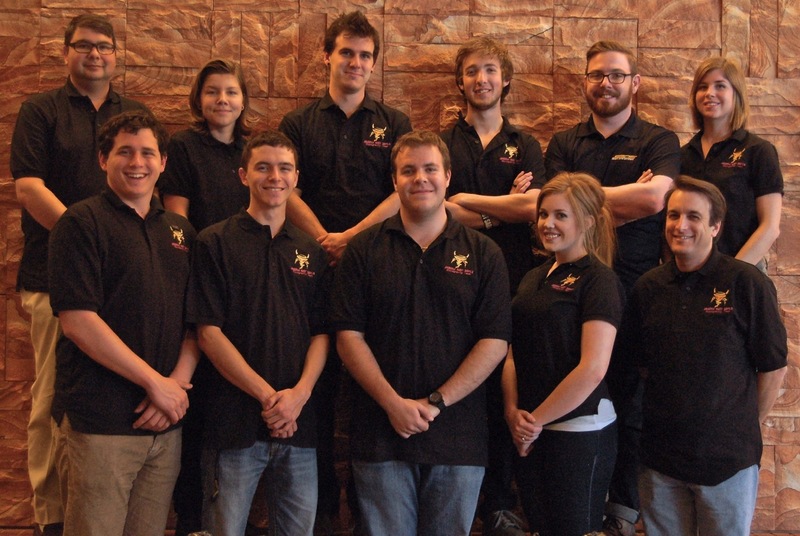 Yu has more than 20 publications in peer-reviewed research journals and conference proceedings. 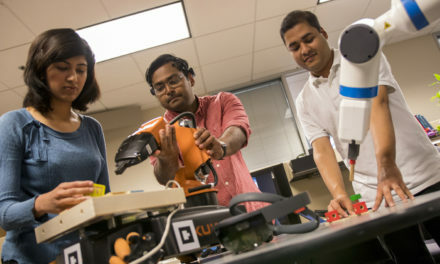 He has also received several awards for presenting his research, including the IEEE Photovoltaic Specialists Conference Outstanding Technical Contribution Award, European Photovoltaic Solar Energy Conference Student Award, and the Materials Research Society Graduate Student Silver Award, among others. Much of Yu’s success stems from Holman’s mentorship and the research infrastructure for photovoltaics in the Fulton Schools of Engineering. Yu said both gave him a well-rounded education on the various aspects of the photovoltaics industry. Yu also lauded Holman for helping him become a better researcher. Yu benefitted immensely from Holman’s manuscript writing class, where he learned how to communicate with different people about his research, both in papers and talks. Yu encourages doctoral students in the Fulton Schools to stay curious and be persistent in their studies and research projects.